Commercial real estate brokers tell the Investigative Unit their agents are having a harder time selling San Francisco in light of the amount of the trash, feces, and used needles scattered along the city’s streets and sidewalks. Commercial real estate brokers tell the Investigative Unit their agents are having a harder time selling San Francisco. They say trash, feces, and used needles scattered along the city’s streets and sidewalks are part of the problem. Bigad Shaban reports. Businesses looking to make San Francisco their new home are increasingly shying away, according to commercial real estate agents and brokers with decades of experience. Industry insiders blame soaring rent, high labor costs, and a dangerous mix of trash, feces, and used needles scattered along the city’s streets and sidewalks. "They're telling us that the city is filthy, that they don't want to be there," said Hans Hansson, a native of San Francisco who owns Starboard, the city's largest independently owned commercial real estate firm. "We have a lot of people that have initially expressed interest to come out here and have chosen not to," he said. "They test the waters — they kind of check things out and you don't hear from them again." Hansson, who employs 22 commercial estate agents, says businesses have backed out of real estate deals in San Francisco, in part, because of concerns over a lack of cleanliness along nearby streets and sidewalks. "It's definitely worse and it's dangerous," he said. While empty store fronts are fairly rare in San Francisco, the number of vacant shops in the city has increased over the past year and has been on a slow rise since 2013, according to an industry report by Cushman and Wakefield. San Francisco's retail market boasted an overall vacancy rate of 3.2 percent at the end of last year's fourth quarter, according to the report. While the figure represents a slight improvement from the 3.4 percent during the previous quarter, San Francisco's rate of empty storefronts did increase 0.8 percent from the same time period in 2016. The high cost of rent and labor are partly to blame, but Hansson believes the city's dirty streets and potential health hazards are making the financial mess even messier. "It's the last nail in the coffin for a lot of these people," he said. "You are seeing and you will continue to see more and more businesses … getting out." Hansson is President of San Francisco's Commercial Brokers Association, which recently invited about 30 commercial real estate agents to talk about the state of retail and the city’s lack of cleanliness. "A lot of people who tour on behalf of larger brands are pretty appalled with the state of our streets in the downtown area," said Pam Mendelsohn, a commercial broker at Cushman and Wakefield who has been helping businesses find homes in San Francisco for more than 30 years. "People have used the word 'cesspool,'" she said. Chris Homs of Lockhouse Retail Group said he frequently has to clear debris and homeless encampments in order to show properties to clients. "There's a health hazard of having to step over God-knows-what on the street, whether it be syringes or something else," he said. San Francisco Real Estate Brokers say that for many clients who are interested in starting businesses in the city, the dirty streets are a major deterrent. In taking the Investigative Unit on a car ride around San Francisco, Hansson expressed his concern that current vacancies will have a snowball effect. "It just starts impacting all the other retailers on the same block. Before you know it, you could have multiple stores that are vacant and you know this is something the city just really hasn't grasped." In recently surveying 153 blocks of downtown San Francisco, the Investigative Unit discovered trash on every block, 303 piles of feces, and 100 drug needles. Mohammed Nuru, Director of San Francisco's Public Works Department, recently told NBC Bay Area that half of his Street Cleaning budget — about $30 million dollars — is spent cleaning up feces, needles and homeless encampments throughout the city. NBC Bay Area's Investigative Unit found trash on every single one of 153 streets surveyed in downtown San Francisco. The challenge of cleaning the streets has become a focal point in city politics. Nearly every candidate for the upcoming mayor’s race names "Clean Streets" as a top priority. "I saw your story and here's the thing — it's one of the things that we have been trying to address for a very long time," said London Breed, Board of Supervisors President and a mayoral candidate. "I wasn't surprised by your story because I get the e-mails, I get the complaints from my constituents." If elected mayor, Breed says she will make street cleaning a top priority. She promises substantial changes within 90 days of taking office, but stopped short of saying the problem would be completely eliminated. "I am saying that there will be a significant difference — where it's noticeable." Part of her plan includes the creation of "safe injection sites," where drug users can inject indoors, under medical supervisor, rather than on the street. Critics argue the centers would essentially legalize illegal drug activity. 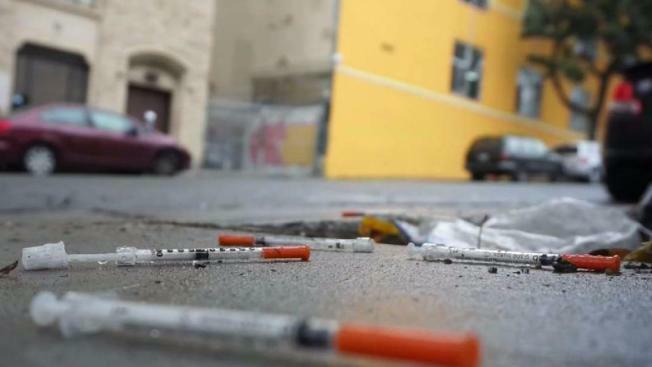 Proponents, however, say the facilities would provide rehabilitation programs and services for drug users, and believe safe-injection sites would reduce the number of needles left on the streets and sidewalks of the city since the facilities would be responsible for safely disposing of the used needles. "Opening up one of these sites could save us $2.7 million dollars in not just clean up but also hospital visits and social services and other things that contribute to the challenges that we know we are experiencing on our streets," Breed said. "This is a complicated issue that requires a number of solutions to address the problem. One is clean up. One is behavioral changes." 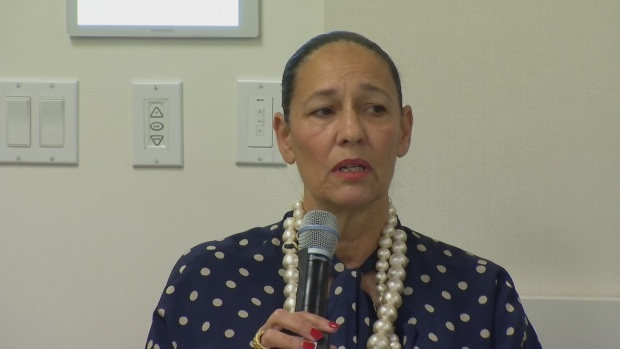 Breed believes altering "behavior" across the city is critical and feasible in the fight to address the city’s lack of cleanliness, an issue she now describes as a "public health crisis." "What I want to push for is a behavioral change in how people treat our streets … so people stop dumping trash and defecating on the street, and making sure that the money granted to non-profits to reduce homelessness and clean the streets is well spent," Breed said. "We have to focus on making sure that the people that we're paying to do the work they're out there doing the work," she said. On Tuesday the San Francisco Board of Supervisors is expected to discuss and vote on a proposal from Jane Kim to immediately inject $2.5 million in funds left over from San Francisco’s last budget on extra 19 more workers to sweep streets, two more street cleaning machines, and additional equipment and supplies. District 6 Supervisor Jane Kim is also running for SF Mayor. "I think the state of our streets is an emergency and it has been for months and we absolutely must be addressing it." In a move that is usually reserved for emergencies, Kim has proposed skipping the normal budget process in trying to reallocate $2.5 million left over from last year's budget to pay for more street cleaning crews and equipment. Her proposal was initially rejected by the Board of Supervisors' Budget Committee, but Kim intends to bypass that committee and bring the plan to the full Board of Supervisors for a vote on Tuesday. NBC Bay Area surveyed the Board of Supervisors and confirmed Kim is expected to garner a sufficient amount of votes to pass her proposal. According to Kim, the plan would add two additional street cleaning machines, and 19 more street cleaners by July. "If we're going to be a world-class city then we should act like one," said Hans Hansson. He recalled a recent experience in trying to convince a business owner to move into a new location in San Francisco. "I showed a building in a South of Market retail building. I got there early. It was my listing and I was confronted with a homeless man at the door," he said. "I finally convinced him to get out of there. But he had left a pile of feces right at the door." Need to contact our Investigative Unit?